Did you know that fish can use tools, and that wombat poo is cubic? 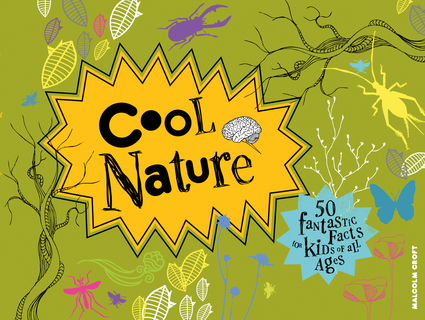 This animal-tastic, fact-packed guide to the world of nature contains everything the budding naturalist needs to know. Meet nature's most fearsome predators, explore the wonders of the ocean, and marvel at the ability of animals to survive in the harshest environments. If you want to get out into the wild yourself, there's cool practical advice for tracking animals through the woods, using binoculars to spot our feathered friends and making a weather station in your back yard. Learn about why we should all care about endangered species, who would win in a fight between a shark and a honey badger, and where to go to see whales in the wild. Amy-Jane Beer is a writer and science educator. She has authored, co-authored and ghostwritten several dozen books on natural history and contributes regularly to BBC Wildlife magazine.